The colonial marine invertebrate Botrylloides leachii belongs to the Tunicata subphylum, the closest invertebrate relatives to the vertebrate group and the only known class of chordates that can undergo whole-body regeneration (WBR). This dramatic developmental process allows a minute isolated fragment of B. leachii’s vascular system, or a colony excised of all adults, to restore a functional animal in as little as 10 days. In addition to this exceptional regenerative capacity, B. leachii can reproduce both sexually, through a tadpole larval stage, and asexually, through palleal budding. Thus, three alternative developmental strategies lead to the establishment of filter-feeding adults. 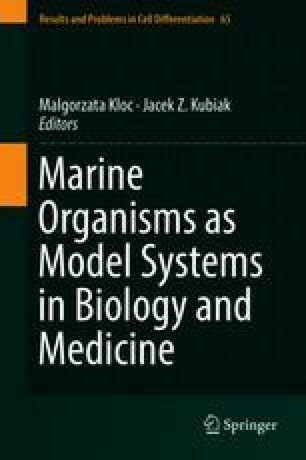 Consequently, B. leachii is particularly well suited for comparative studies on regeneration and should provide novel insights into regenerative processes in chordates. Here, after a short introduction on regeneration, we overview the biology of B. leachii as well as the current state of knowledge on WBR in this species and in related species of tunicates. Finally, we highlight the possible future directions that research might take in the study of WBR, including thoughts on technological approaches that appear most promising in this context. Overall, we provide a synthesis of the current knowledge on WBR in B. leachii to support research in this chordate species. We would like to thank Aude Blanchoud for proofreading this review. SB was funded by the Swiss National Science Foundation (SNSF) grant number PZ00P3_17398. MJW was funded by a School of Biomedical Sciences Dean’s bequest grant. BR was funded by the Israel Academy of Sciences grant number 172/17. SB, MJW and BR were funded by a Royal Society of NZ Marsden fund grant (UOO1713).